Schematic is your currency to buy weapon and armor upgrades in Dead Space 2. If you want to survive you need the best of weapons and armor suits the game has to offer. For all these you will need schematics. Now we are left with one simple question, where to find schematics ? you will find exactly that in our Dead Space 2 Guide. You will find below all the schematics categorized by the type, chapter, and brief locations where you can find them. Power Node – You will find it in the first power node locked room you come across. You can open the locked door with a power node; you can find one on the ground through the door to the left of the closet. Hacker Suit – At the end of the Tram walkway area. The spot where you encounter the fire sack guys. Stasis Pack – On the tracks when the flaming train passes you for the first time. Pulse Rifle – Once you are out of the train, it is in a corner just behind where the train is hanging. Javalin Spears – In the area with the big Marker statue, you will find this schematic behind it towards the windows on the left. Security Suit – On the top shelf of the room just past the door that you have to slow down to walk through. Ripper – In the multi level room, ride the elevator down and go to the right side of the room for this schematic. Medium Health Pack – After you turn off the gravity and go through the holes in the ceiling. You will find this schematic floating mid room. Line Gun Ammo – After crawling through the duct and falling, you will go through a storage room. You will find this schematic behind some shelves on the right side. Detonator – It is in a room at the top of the church by Save Station. Seeker Rifle – In the path at the beginning of the chapter take the door to the right, you will be on a balcony, and find this schematic on the far right side on the ground. Pulse Rounds – When you first meet Ellie , she unlocks the gate. Instead of going through the gate behind her, follow the path around to the right where it is blocked by debris and you will find this schematic. Flame Thrower – After you exit the gym, follow the path and go into the classroom to find a text log: Kids Gone Crazy. In that same room, there is a smaller room on the right side with blood splat on the wall, you will find the schematic on the ground. Ripper Blades – At the start of the chapter when you enter Zero Gravity, you will find this schematic floating at the bottom of the room. Force Gun – After you exit the elevator, turn left and you will come across yellow lockers. You can find this schematic in the second locker from the left. Contact Beam – There is a schematic in the locked closet to the left of the spot where you first see the save station on the wall. Use the power node to open the closet and get the schematic. Vintage Suit – You will find this schematic in the first locked door of this chapter. Detonator Mines – When you first talk to Ellie and Stross, go to the next room and take left. There you will find a body and this schematic just beside it. Large Med Pack – You can find this schematic in the room where you first meet Ellie. It is beyond the table in the corner, you can move the table using your kinesis and grab it. Flame Fuel– When you come across the laser traps, take right from where they were. You will come across few crates lying around, use your kinesis to move the crates and you will find the schematic for Flame Fuel and an audio log. Seeker Shells – You will find this schematic behind the guardian mounted near the exit door of the room where you fight stalkers and cysts. Force Energy – When you reach the zero gravity area, go to the lower level and you will find this schematic on the ground. Contact Energy – In zero gravity station when you move the lasers to gain access to the shaft that leads inside. You will find this schematic if you look outside from the inside of the shaft. Advanced Suit – Enter the locked room opposite of the detonator mines trap. You will find this schematic inside this room, but you need one power node to open this locked room. Having trouble with the text ? watch the video walkthrough guide to all the schematics in Dead Space 2. If you are looking to find Audio/Video/Text logs in Dead Space 2, refer to our Dead Space 2 Logs Location Guide. 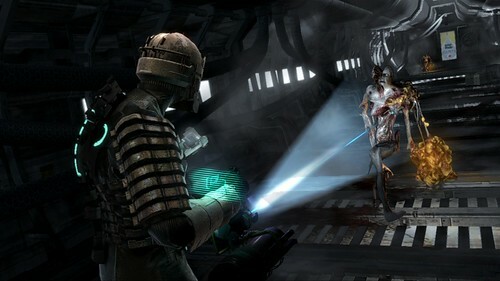 Also read Dead Space 2 Full Walkthrough Guide. 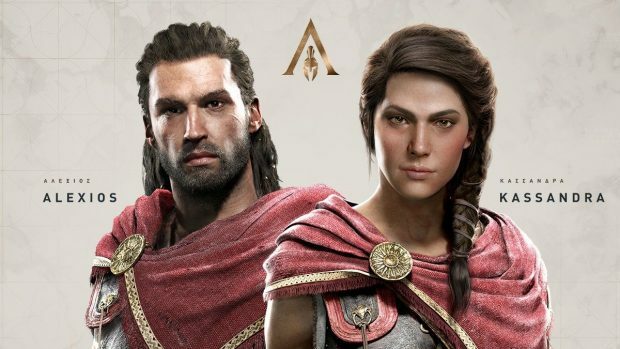 Assassin’s Creed Odyssey Trophy List Is Here, Spoiler Alert!